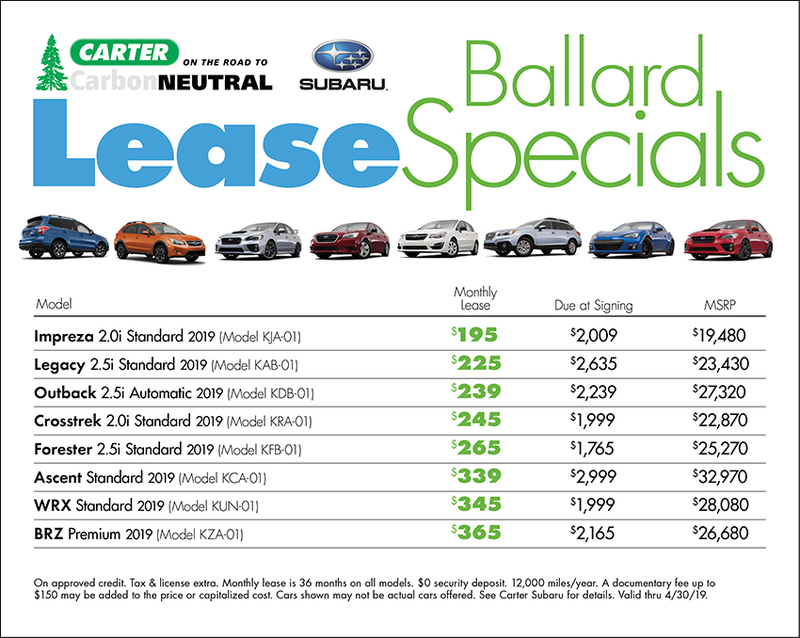 Carter Subaru Ballard is pleased to be able to offer world-class customer service on a daily basis to drivers in the Pacific Northwest and Puget Sound region. For over 50 years, we've been the premier local full service Subaru dealership in the Seattle area and we believe that the best way to create customers for life is by dealing with integrity and delivering value. We feature a wide selection of quality pre-owned vehicles including Subaru Certified Pre-Owned, Genuine Subaru Parts and Accessories at excellent prices, factory certified technicians that take pride in maintaining or repairing your Subaru in our state-of-the-art service facility and an incredible selection of new Subaru vehicles in stock at great prices. We offer many monthly specials in each department designed to save you money. When you're ready to purchase or lease your next new Subaru, schedule a test drive by contacting us online, call us at (888) 843-2701 or visit our dealership at 5201 Leary Ave. NW, Seattle, WA 98107, not far from Bellevue or Tukwila, Washington. we can't wait to add you to our ever-growing list of satisfied customers at Carter Subaru Ballard!